HELP laminar bench build .......a few Questions ? well if you want to use one basically you just run a vacuum hose from it to inside the plenum from my understanding. It has high port and low port I'm not 100% on which port connects to the plenum but it shouldn't be too hard to figure out what with 2 options lol. Get a 1" or 2" scale one, 2" might be more useful for you. but you can just change your prefilter regularly and change your hepa once it stops giving you a clean workspace, no problem. 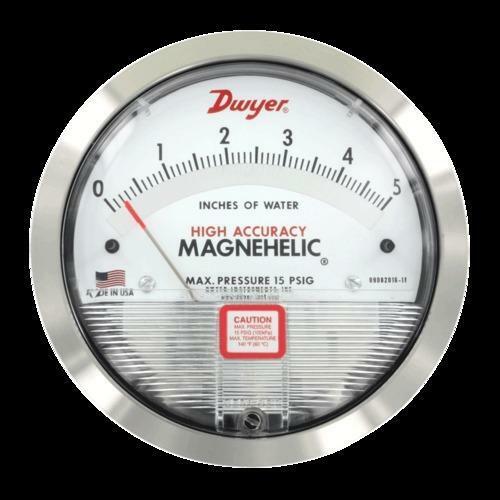 ok i'll look into Magnahellic gauges............a possible option ......hummmm! i figure running my room HEPA in work room awhile before work and a good pre-filter should help a lot to extend life of Main filter ..........my theory any way . i also use OZONE generators to kill spores mites ext in all rooms threw out my house on rotating scheduled . so work room would get good OZONE treatment day before or ear;y in a day work was to be done . That's not necessary. It will last you years of use do't worry. ok a 3rd party seller discribes my filter as MERV 14 ? Initial Resistance 1.00"
Damn things aint cheap! Looks good to me though and you will have plenty of room with that. Steam Punk i think i paid $190 when i ordered in Oct , the price went up a bit since then same with fan . it took about 3 months to get it . kept getting back ordered . and tall enough set upright to do tall bags . Edited by bezevo, 31 January 2019 - 01:57 PM. Possible materials for cabinet build ? A member recommended i check out this pre-finished material for my cabinet build, they have iron on strips for cut edges for clean finish . looks good . Any one worked with this product ? Please Share Your Suggestions For possible materials ! I would advice against the material in home depo link . Is particle board correct english term for that? Sure .. they can do the trick .. trouble will come when you move or take it apart and put it back together. plywood (multiple layers of thin strips of wood glued together in diagonal orientation) is better. with coating, marine grade or coat/ paint it yourself. You know what stores are within driving range.. what they offer/ can order will limit your options somewhat. I am quite sure I will put glass on top of plywood for the working area. (glass for cleanliness and plywood for structural strength and workability. well yes Steam Punk i am afraid whether i use cabinet grade pre-sanded 3/4 inch ply wood or the above material it will be heavy monster ! heh ! Stained plywood with marine grade clear gloss would look cool . extra work . I want finished unite to look professional . Where i goes through each piece within build. I would say I have found one niche where metric system runs circles around imperial system. sandman i think he meant glass for the tabletop his work would rest on not a suround or work enclosure ? there will be no hood or surround just work in front of filter face or open face hood. Each of the tables will be 24" x 48" i will place them back to back the long way (not touching ), the hood will have small rubber feet on bottom of long side and also on bottom of one of the sort sides so it can rest long way vertically for working with grains agar ect or stood up the tall way if one was working with tall bags . The hood would be set on one of the two tables with the working face over hanging the second table. The two tables will not touch and the hood will not touch the working table so any vibrations it makes will be isolated from/not touching the work surface table . so no vibrations from hood will be transferd to the working surface table . I hope this makes sense ? Edited by bezevo, 02 February 2019 - 07:44 PM. I got it on Ebay make an offer for $22 including fittings and shipping in original box . It looks really Steam Punk Cool and will tell me whats going on in plenum . It's Bigger than i imagined .....making it even cooler . Edited by bezevo, 19 February 2019 - 01:27 PM.